This new skimming tactic involves recording the frequency of the jamming signal and the credit card information signal and then filtering out the jamming signal to steal a user’s credit card information. 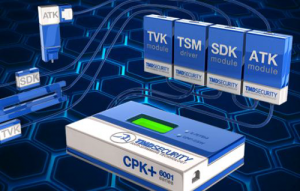 If you want to avoid having your ATMs emptied by skimming attacks, you need a product like TMD’s Credit Card Protection Kit (CPK+) that uses multiple jammers to help prevent filtering. available that allows DIP card readers to stay in service. Protect your ATMs before they’re attacked and save money in the process by taking advantage of TMD's Anti-Skimming Solutions!